↑ BBC Asian Network – Weekend Gujarati , National Award-winning Indian playback singer Sadhana Sargam. Bbc.co.uk (9 January 2011). 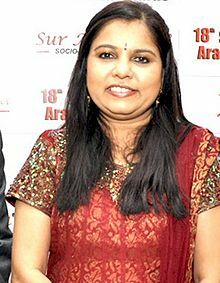 ↑ Sadhana Sargam Wins National Award(Azhagi). Tfmpage.com.